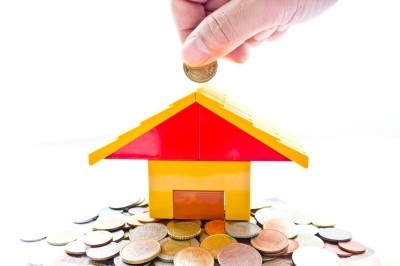 Paying the homeloan quicker is not necessary, not even economically sound but satisfying. 6 short years ago we were knee deep between two bonds. Oh well, it was not that bad. The second property was a rental one and our investment property was working together to kill the principal amount. But those were not easy times. Fast forward to today, my bank statement reads, R2678. Meaning that, for the very first time in 12 years I have no bond, almost. I've been referring to my mortgage as my ONLY debt and from month end I will be debt free. Before throwing a congratulations my way, be rest assured, this will definitely not be for very long. I will definitely be creating some profitable debt in a few months. I just want to savour the moment and enjoy the feeling just a bit. What this means is that I will have just a bit more disposable income because there will be no money taken by the bank from my account. I feel extremely blessed. We will also be able to pay more attention to other investments. Remember I am one of those people who are against paying the homeloan quicker than required. I got over that and when the Mr was on my case about killing this debt I was game. Its not very easy taking savings to put into a bond. I don't know if I will do it ever again, or even if I would advise someone to it. But the feeling of being debt free is priceless. Even if its for 6 months or less. I may even take my family on a holiday, get some proper "debt free" closet boost and go earlier for my spa treatment. If you are interested to know how we did it, here's how. We took our savings and dropped a huge percentage into the bond. We then added extra payments towards the mortgage every month. Extra payments were probably the hardest because it was quite a large amount. We also got extra strict on expenditure. I keep telling people that I can do with a bit of frugality. I really am not frugal. My main thing is creating extra income. It doesn't even have to be passive income. I am happier when I am a bit more productive than an average Joe...err Jane. High on the agenda is getting a bigger investment. It could be a commercial property or something more passive. The Mr thinks I can maybe have a store or something. I think waking up to go to the shop every morning is not something I would enjoy. A few days a week maybe but not daily. Some things are just not for everyone. I would much rather have an online business. But being in SA, online businesses are not as big as in the western economies. Whenever I make some move, you'll be the first to know. What have you been up to? Are you winning your own financial battles? What is your take on paying the homeloan quicker than your mortgage term?